The Perth Mint is Australia's largest fully-integrated precious metals enterprise- and offers a superb range of Australian coins. Including gold, silver and platinum bullion bars and coins distributed worldwide, the Perth Mint's extensive catalogue spans Australian fauna, film and television, royalty and more - perfect for the avid collector. 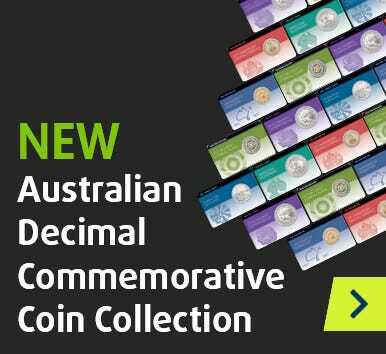 Whether it's pure precious metal bullion, Australian legal tender in Brilliant Uncirculated quality or a full-colour, commemorative Proof, you'll find it here.